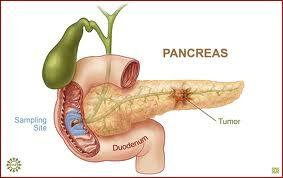 A pancreatectomy is a medical procedure defined as the removal of the pancreas. This removal can either be partial or complete depending on the condition being treated and the type of pancreatectomy being performed and there are several types of operations that may be undertaken. Procedures include particle removal such as the Whipple procedure and total removal which is commonly referred to as a total pancreatectomy. The most commonly used procedure one encounters is the Whipple procedure. Common illnesses that would result in a Pancreatectomy being necessary include cancer, tumors of the pancreas, or suffering from pancreatitis. 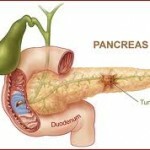 A side effect of pancreas removal is the onset of type 1 diabetes. This is due to the removal of the pancreas resulting in the removal of needed digestive chemicals and insulin from the body. However, the resulting treatment for insulin deprivation is no different than the treatment normally received by diabetics. This includes keeping a close eye on blood sugar levels and insulin treatment and shots. However, it is worth noting that diabetes developed is often severe and at times unpredictable which can result in the need for more advanced treatments such as an insulin pump to stabilize blood sugar levels. The removal of digestive enzymes also requires a specialized diet and enzyme replacement therapy most notably through medication. Pain is also a noticeable and lingering side effect even after the pancreatectomy has been performed. Because of the severe impact on quality of life a Pancreatectomy is not a surgery that is performed unless there is a great need for it. Because of this is normally only given in situations where the surgery is required to save the patient’s life. Cancer is the most common condition resulting in the need for a pancreatectomy.